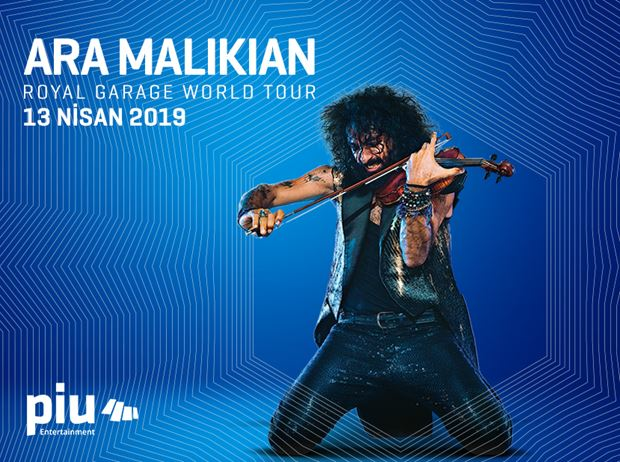 Ara Malikian, one of the world’s most famous violinist’s, will be at Volkswagen Arena on April 13th as a part of his “ROYAL GARAGE” world tour. With his New Age inspired classical music style, Malikian is bringing his “ROYAL GARAGE” world tour, which sells out days before at every location, to Istanbul. With a combination of a music and stage performance, Ara Malikian will be at Volkswagen Arena on April 13th, organized in collaboration with Piu Entertainment and Selladoor Worldwide.